Set on the waterfront of Auckland City on Okahu Bay, just moments from the famous Mission Bay beach, Kelly Tarlton's SEA LIFE Aquarium is one of Auckland's top attractions! Our fantastic Animal Adventures offer unique and thrilling 'up close' underwater encounters with huge sharks, including the all new Shark Dive Xtreme and Shark Cage experience. You can also head out onto the ice to get up close to our amazing penguins with Penguin Discovery. 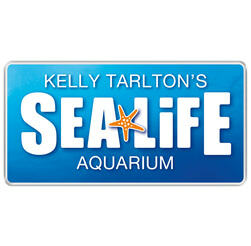 Buy Kelly Tarlton's Tickets Online and Save! Buy your Kelly Tarlton's tickets on the official Kelly Tarlton's website and you'll get our BEST PRICE GUARANTEE on single visit tickets. Save at least 10% on admission tickets or even more with our great value midweek specials!.